The five or so people who’ve been following my writing career for at least ten years (hi Simon, Kate, Jean, Ryan and Les!) know that literary journal Kill Your Darlings published my non-fiction at an early stage, a hilarious (my words) take on Chuck that also included an insightful (my words) analysis of product placement and gender roles within the show. 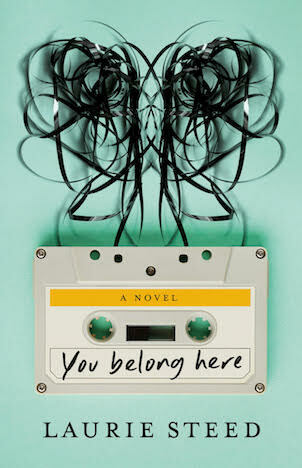 Since then, they selected me as one of their inaugural literary critics, and more recently, featured You Belong Here as their book of the month. It is incredibly tough to keep a journal running for ten years. Kill Your Darlings aren’t the only independent journal to have done this (The Lifted Brow, Going Down Swinging, and Untitled have all fought the good fight for similar lengths of time) but like these journals, they’ve added, and continue to add something unique to the literary landscape. As such, they’re looking for support to continue the mission they began nearly ten years ago. Their fundraising prizes for this project are outstanding, incidentally, so if you give money, you’re really just buying yourself a great present. Check them out here but be quick; a lot of great prizes have already been snapped up, so you’ll need to get your sneakers on to avoid missing out. Thank you to Rebecca Starford, Hannah Kent, Estelle Tang, Alice Cottrell, Ellen Cregan, Meaghan Dew and everyone else I’ve worked with at Kill Your Darlings over the years. Your energy and enthusiasm for KYD is both refreshing and inspiring; may it always be so.